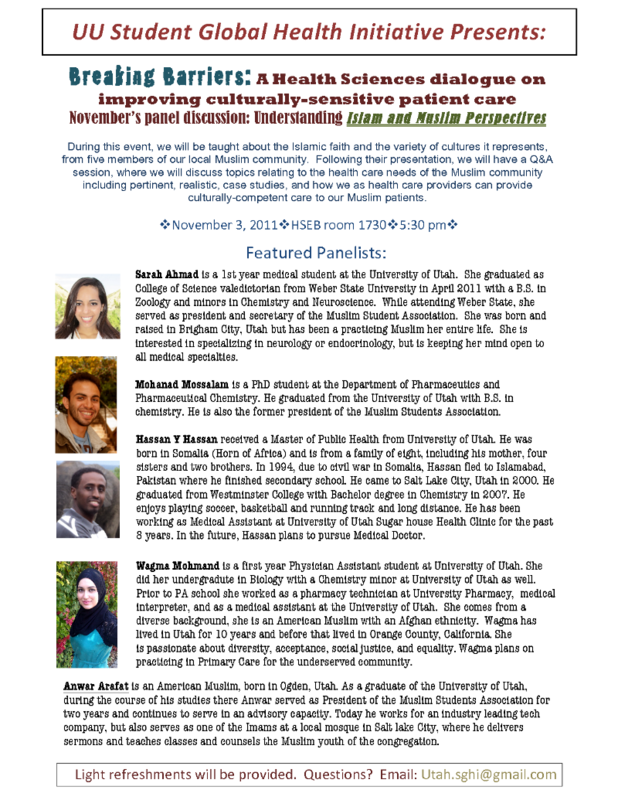 Panel discussion highlighting Islam and patient care issues specific to Muslim patients. It was an awesome event, we hope you check out the video, and plan to come to one of our next panel discussions. 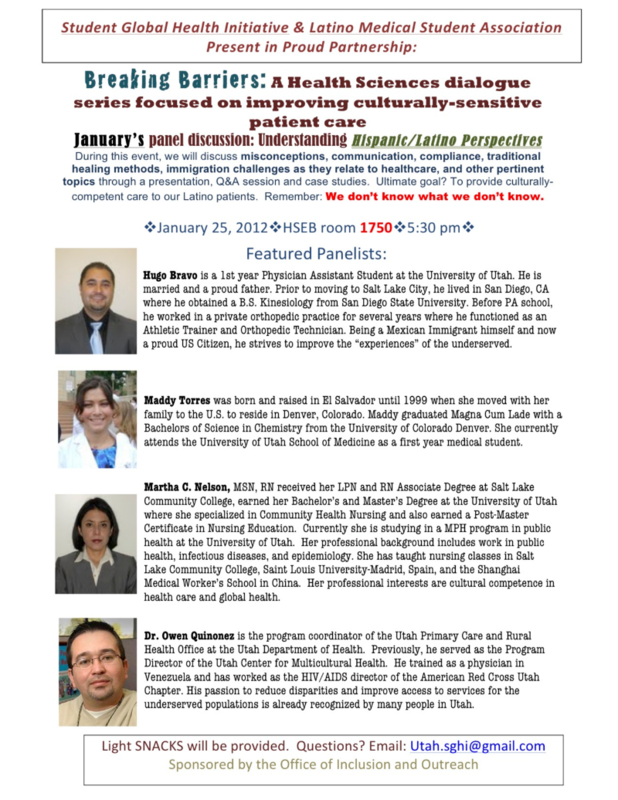 In January, we will feature a panel discussing patient care issues specific to Hispanic/Latino populations!